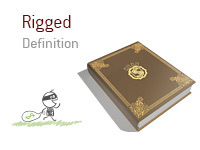 What does the term "rigged" mean as it applies to the world of poker? What is the definition of the term "rigged"? There are a number of people out there who think that online poker rooms are "against" them. These are the types of people who will scream that a site is rigged when they lose a set-over-set hand or when their flush loses to a rivered full house. 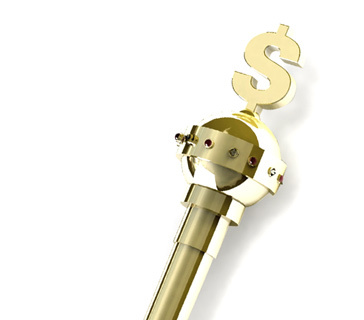 These people believe that online poker rooms are actively conspiring against them to relieve them of their bankrolls. There are also people who believe that online poker rooms purposely create "action hands" in order to increase the size of the pots, which in turn makes them more money in rake. For instance - let's say that one player gets dealt AA and another player gets dealt KK in a cash game. There is a very good chance that both players will end up all-in pre-flop, creating a sizable pot from which the online poker rooms can extract a decent amount of rake. There are people who believe that online poker rooms do this purposely in order to increase the amount of money that they make, and that the deals are not randomized. The Ultimatebet and Absolute Poker scandals did nothing to help the industry and the perception that many sites are "rigged". Jeff "Actionjeff" Garza to Quit Pokerstars? Online Poker: Is it Rigged?